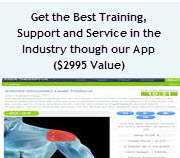 Professionals get a 30-day money back guarantee. The Avant LZ30z was released in 2015 making it the the highest power version of the LZ30 series of lasers and the highest power RED (637nm) on the market by a factor of about 10. Like it's sister product, the LZ30p and LZ30x, it is incredibly well engineered. The LZ30z is an FDA cleared class 3b cold laser that provides a superior value when compared to any other handheld cold lasers. With the LZ30z, you get more flexibility than any other cold laser device. The LZ30z brings the RED (637nm) laser power up to an amazing 1000mW. 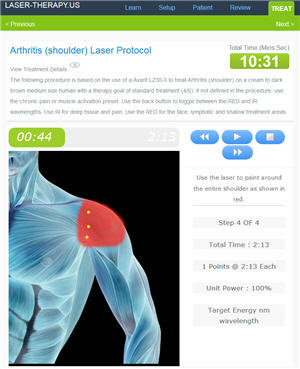 That is 10 times the power level of a K-Laser® and 200 times the power level of the newest Erchonia®. If you prefer treating patients with the RED laser wavelength, this is the ultimate cold laser. This product allow for the widest range of treatments by allowing users to use continuous wave, pulsed wave and sweeping wave setups using either the 808nm or the 637nm wavelength. For those considering a ML830, the LX30z offers 10 times the power and also includes pulsing and sweeping modes for better healing. The rugged industrial design includes an aluminum anodized body with a toggle stick controlled graphic display. The solidly-built device is perfectly balanced so it feels good in your hand and the compact size (just 1 inch x 1 inch x 4-1/2 inches) makes it easy to use in the office or field. The ergonomic design is easy to use on any part of the body. No other cold laser on the market packs this level of power and flexibility into such a compact size. Programmable continuous, pulsed and sweep output modes. In manual mode, users can set the pulse frequency and duration. Use the factory defined presets or develop your own protocols. The device has enough onboard memory to store hundred of protocols. Self Calibration - As the laser diodes age, the system self adjusts providing a consistent power output. Self Calibration is usually only seen on the most expensive cold lasers. Maximum flexibility using the USB cable. Users can create and maintain presets on their PC by mounting the LZ30z as a USB drive on their PC. It is so easy to get started with the Avant LZ30z. It comes from the factory with presets to address 90% of the standard protocols but the LZ30z also allows for the creation of new protocols including total customizing every variable using the standard USB interface. Newer users can step through pre-defined protocols in just seconds. For advanced users, the device allows the creation and maintains of a set of favorite protocols for treating special problems. This list can be accessed using the joy-stick and can be editing directly on the device or by mounting the cold lasers as USB drive on PC. The Avant laser can also be used with an optional trigger point / accupuncture probe. Just detach the standard hood and attache the light pipe. The system recognizes the probe (from it's tiny microchip) and adjusts the system to for trigger point and/or needle-less accupuncture therapy. The LZ30z allows users to choose from continuous, pulsed and sweeping pulse modes with power levels of 1400mw at 808nm (infrared) and 1000mw at 637nm (red). 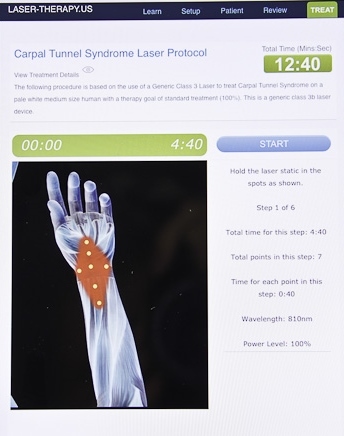 This allows practitioners and users the maximum flexibility in treating both chronic or recent injuries. This device is equally suited for both pain control, inflammation reduction and accelerated healing. The LZ30z includes a one of the best warranties in the industry. They can offer a 3-year warranty because they use the highest grade component in their design so this product is built in the US and built to last. No body beats Avant and ColdLasers.Org for customer support. We will beat any ones price on this product. Delivery is typically less than 2-3 days. This class 3B laser can be sold to any health care provider or for use on animals without any restrictions. This laser is avialable for home use with some limitations (call us). 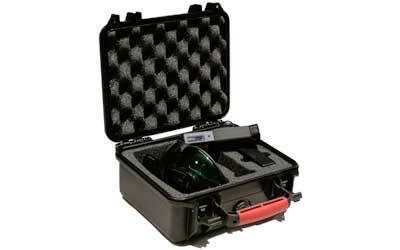 This system comes in a waterproof hard case with safety goggles, USB cable, charger and manuals. Safety lockout Yes, key code required to start unit. Battery Capacity One week when using the red lasers, 4 hours when using infrared at maximum output. Infra Red Laser 1400mW of 808nm infrared laser light from two 450mW GaAlAs diodes. Red Laser 1000mW of 637nm red laser light from two calibrated InGaAlP diodes. The Avant LZ30z does not use inexpensive LEDs or cheap laser diodes. Cheaper LEDs do not offer the same level of power control that you get from using a InGaAlP diode. The LZ30z uses the highest quality laser diodes available and it is a self-calibrated device so that you can get the "optimum" amount of energy into a treatment area every time. The LZ30z also includes a large treatment area. Using advanced optics, the product allow users to treat area up to 1 square inch without moving the device. For practitioners, the larger treatment area means faster treatment times. For beginning users, the broad treatment area means that users are more likely to treat the "sweet spot" when treating a poorly defined problem area. * In general, the Infra Red wavelength is better for deep therapy and the visible red (637 nm) is better for shallow therapy and often for treating the root causes of complex problems.